People naturally tend to make things look better than what they really are. In the age of social media, we have all the tools at our fingertips to make reality more attractive in no time, by adding filters to images. But some things, such as injustice, cannot become better by disguising them. People also share their opinions, express their anger at injustices all the time on social media. But their influence on reality is limited. 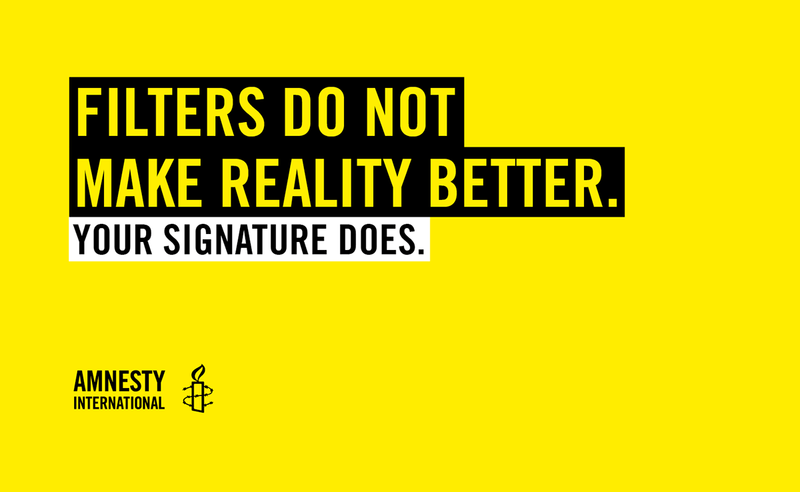 Only international organisations like Amnesty have the power to influence government’s decisions with their petitions. 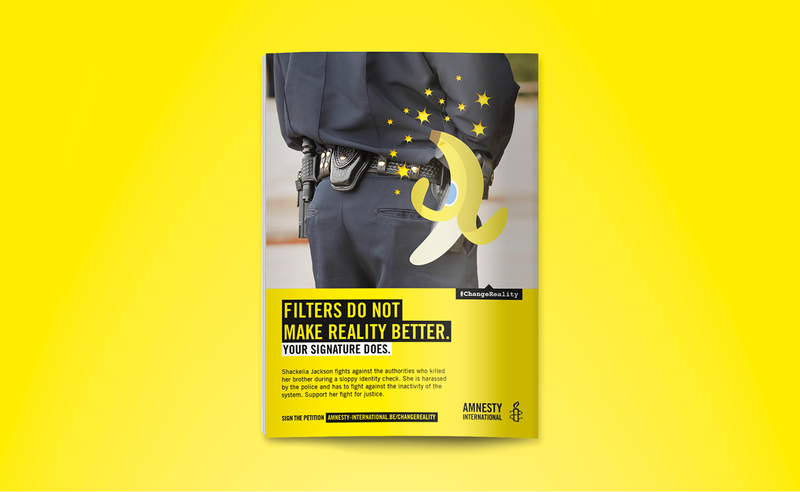 With this campaign for Amnesty Flanders, we want to encourage the public to act by signing petitions, and thus to really change reality. 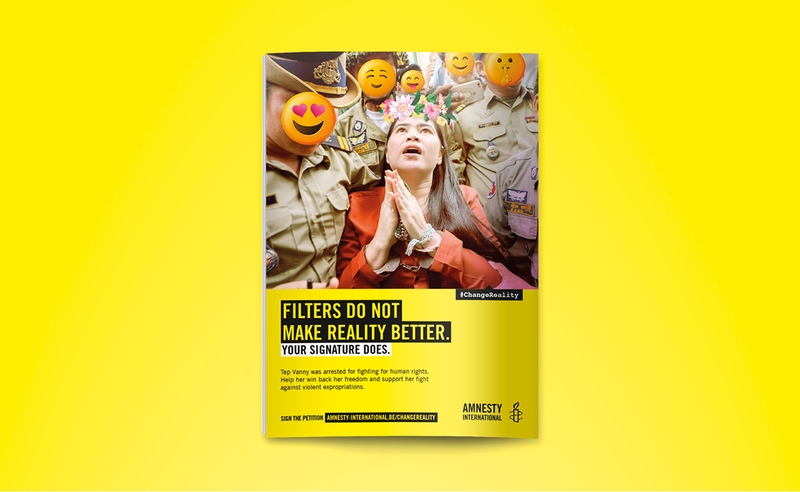 The campaign includes print ads, posters, digital posters and Instagram stories presenting human rights defenders and what they fight for. Copywriter: Nathalie Strybos, Creative Directors: Merel Van den Broeck, Naïm Baddich, Quentin Watelet, design: Denise Hermo. People naturally tend to make things look better than what they really are. 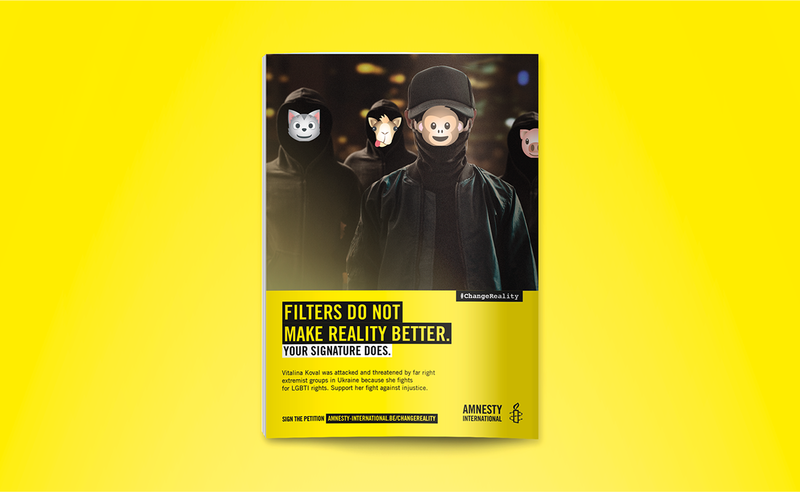 In the age of social media, we have all the tools at our fingertips to make reality more attractive in no time, by adding filters to images.But some things, such as injustice, cannot become better by disguising them. People also share their opinions, express their anger at injustices all the time on social media. But their influence on reality is limited. 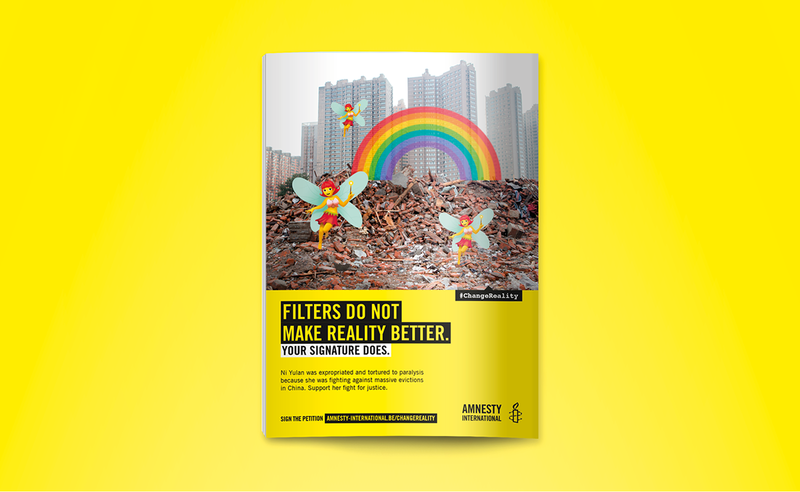 Only international organisations like Amnesty have the power to influence government’s decisions with their petitions. 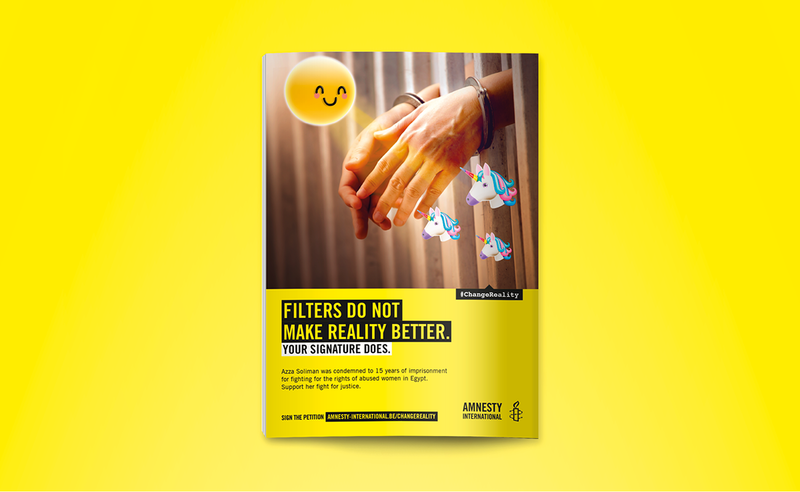 With this campaign for Amnesty Flanders, we want to encourage the public to act by signing petitions, and thus to really change reality. The campaign includes print ads, posters, digital posters and Instagram stories.